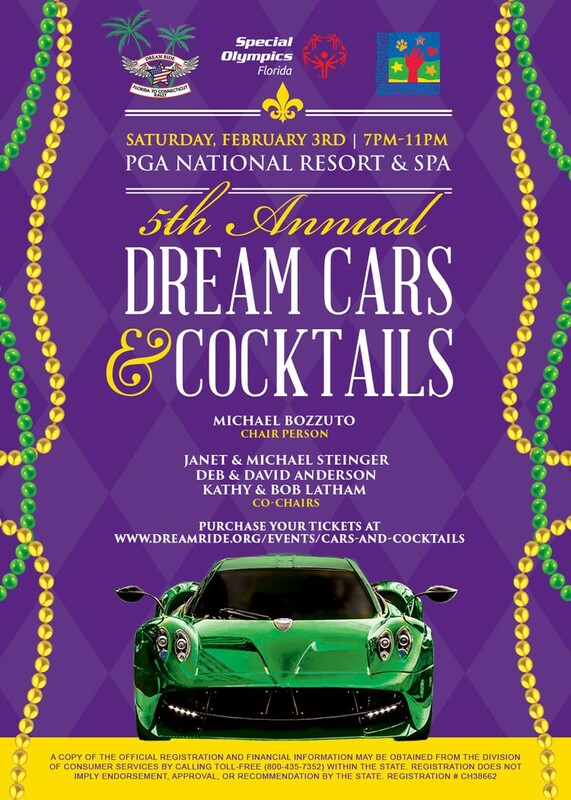 Join us for our 5th Annual Dream Cars and Cocktails on Saturday, February 3, 2018! The red carpet affair will feature Hollywood glamour, fine dining, cocktails, auctions, and much more. Join us as we celebrate the real superstars, the Special Olympics athletes! The night’s affairs benefit Special Olympics Florida. For sponsorship or to purchase tickets, contact Meg Weinberger 561-310-6591 / megweinberger@me.com or Beth Wood 203-206-8588 / bawood@bozzutos.com.